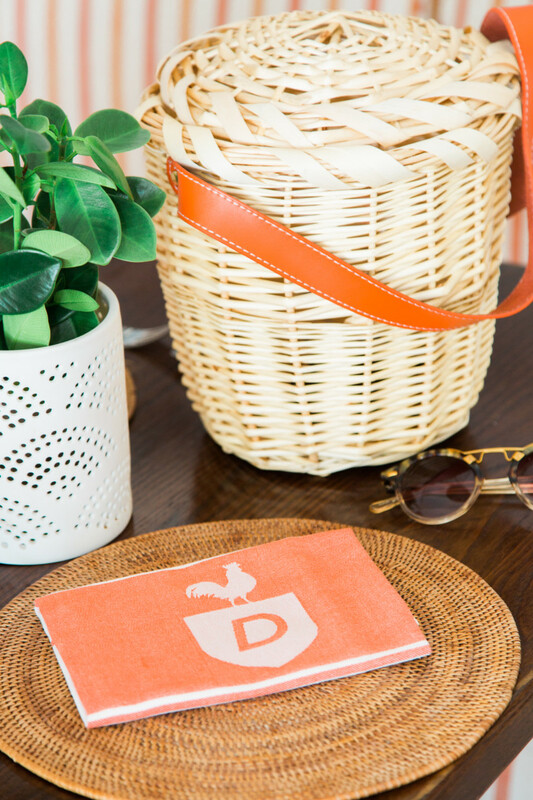 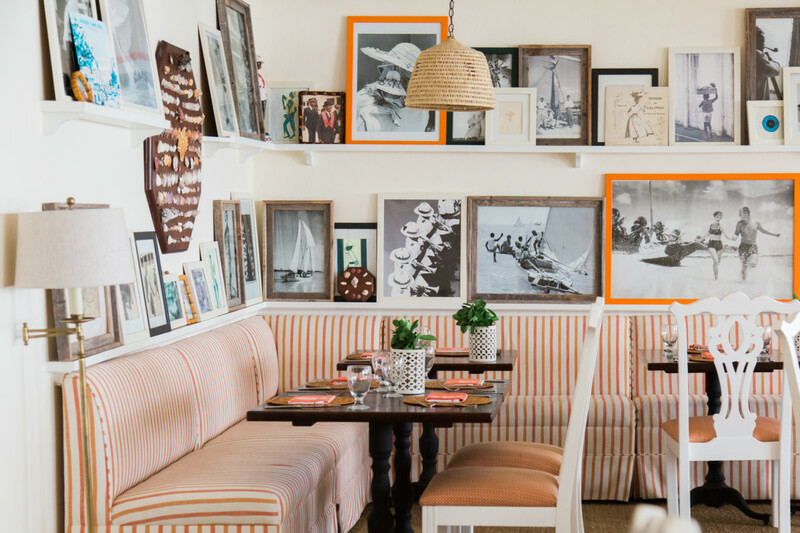 The Dunmore’s cute restaurant was exactly how we pictured it from seeing their popular corner booths posted all over Instagram. 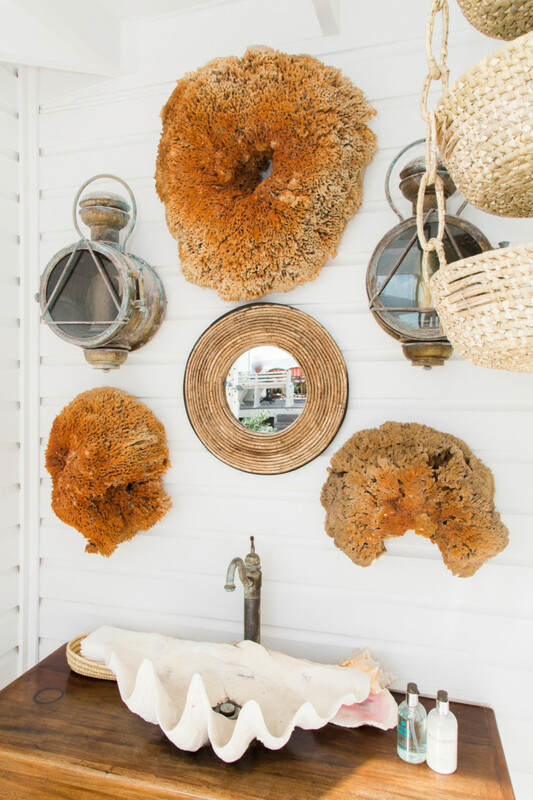 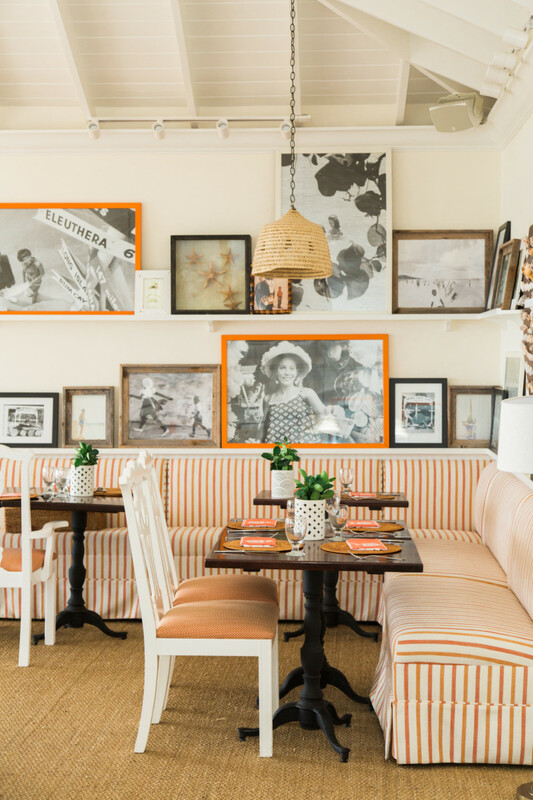 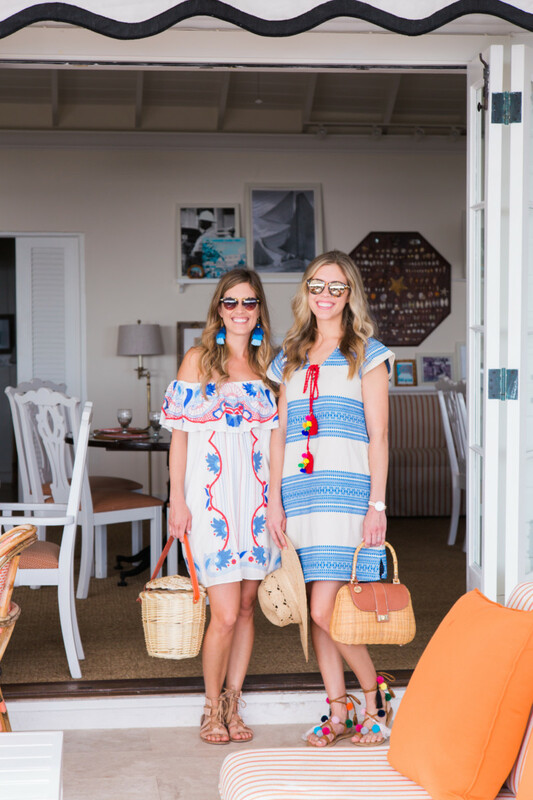 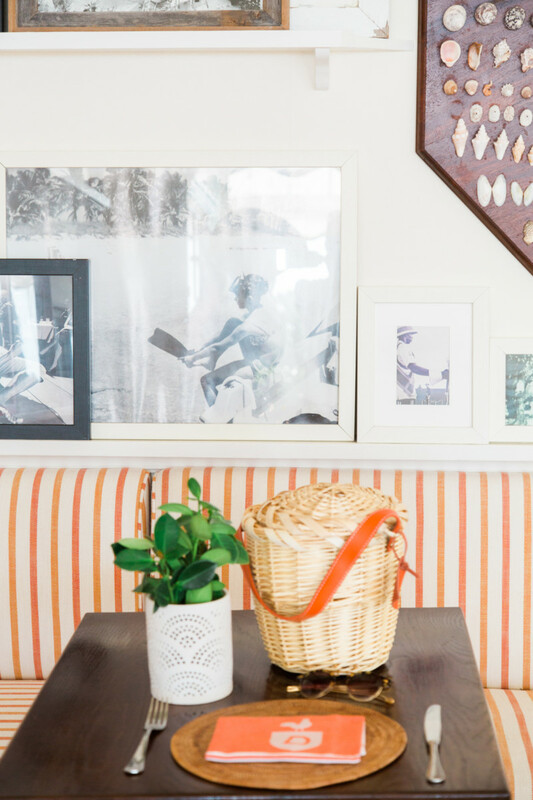 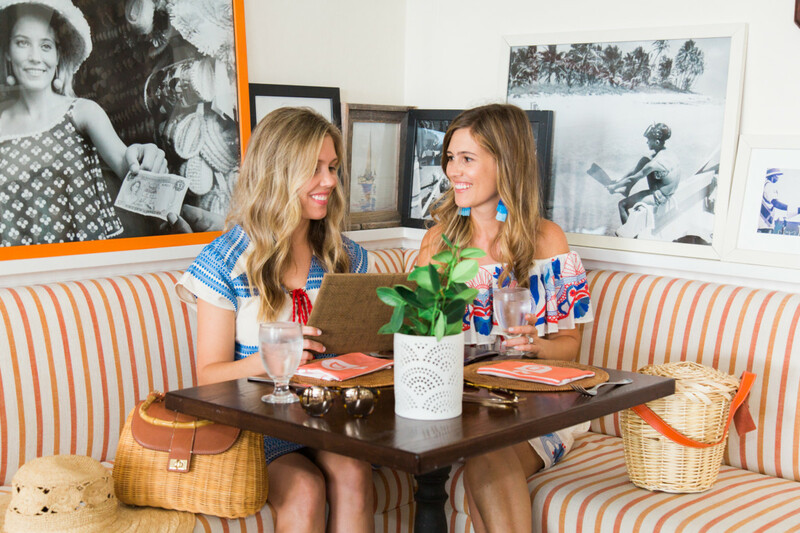 Palm Beach and Bahamas interior designer, Amanda Lindroth, designed the space to be cozy with bright white walls, dark furniture that pops, lots of rattan and seagrass texture, orange striped textiles and an overflow of chic framed photos. 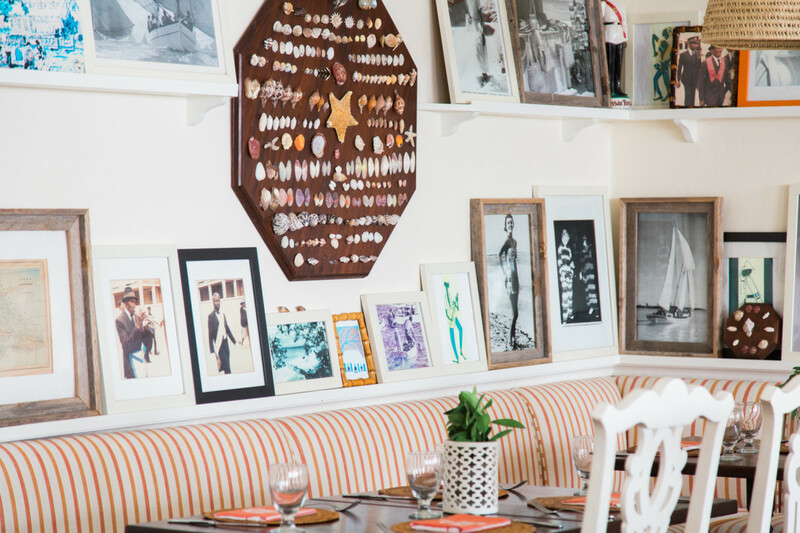 We loved how the sunny indoor part of the restaurant seamlessly opens to the outdoor patio that overlooks the ocean. 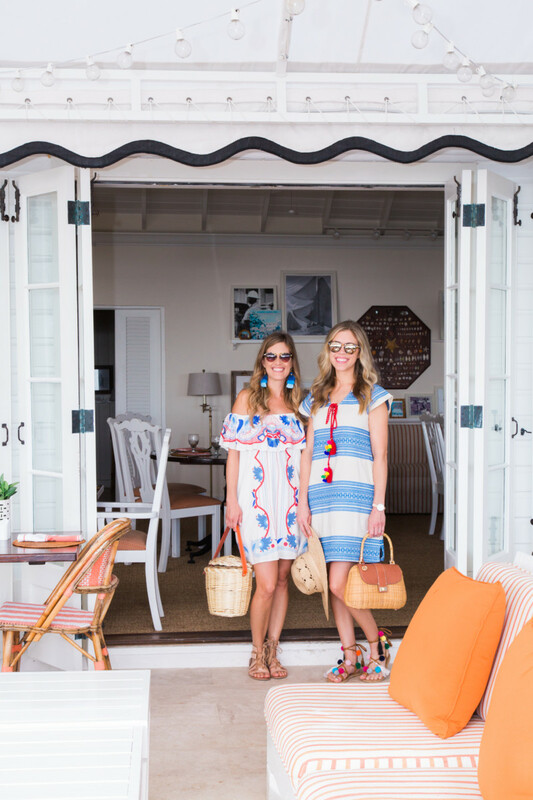 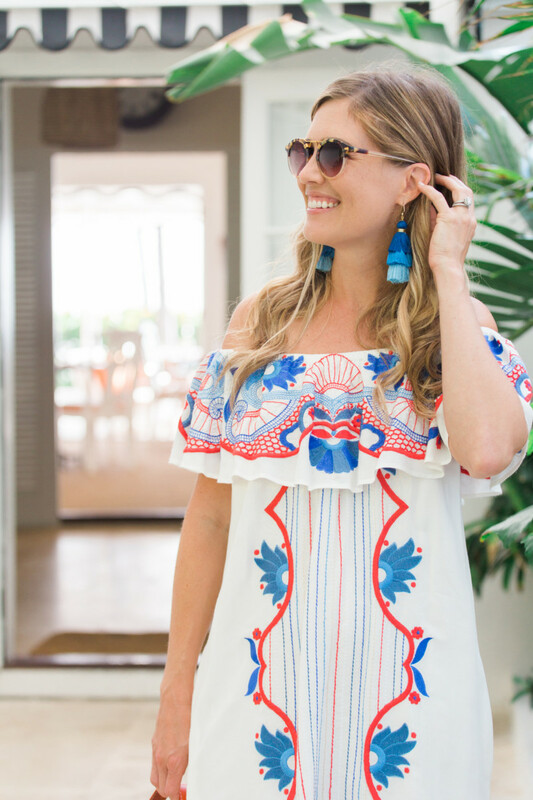 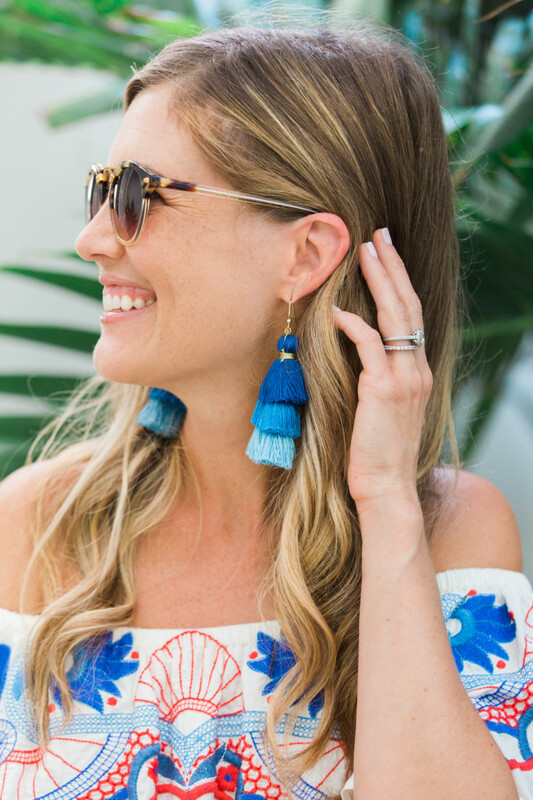 It was the perfect setting to wear our silhouette shift and off-the-shoulder embroidered dresses from Anthropologie. 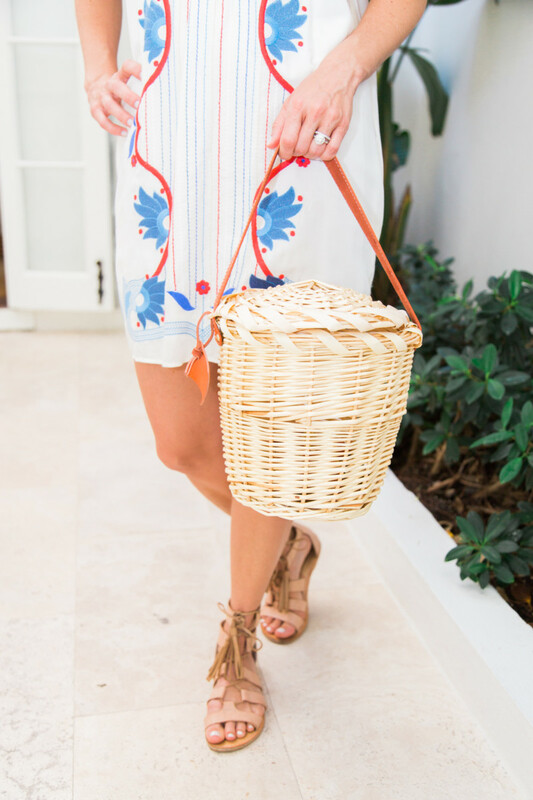 And Lindroth Design’s rattan Birkin basket with an orange handle was the perfect extra touch of island style!